Trying to stand out in the crowd but finding it difficult? Is your website not performing to its full potential? Find yourself slipping further and further down the search engine listings? Need a little help? Underground Digital Media specialise in the Holistic approach to Internet Marketing, Web Design and Optimisation. Giving your business and website the presence it needs on the Internet. 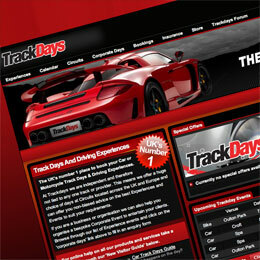 website for booking track days, driving experiences and various other experiences including flying, watersports and military days. 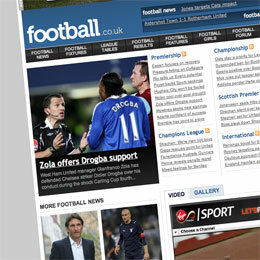 football information source delevering live news, results, fixtures, tables, transfer and club information with a forum for the public. 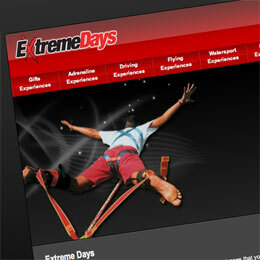 Newly launched website for booking extreme and action experience days such as bungee jumping, skydiving, flying and watersport events.